Medium Duty Spring Loaded Tiller is designed for overseas markets like Australia/Canada and is easy to operate/maintain. As the springs are positioned parallel to the main frame, the trash collection in the springs is negligible. It is suitable for light & medium soils. - It is simple in design but very effectively in its performance. - It has been specially designed for the light and medium soils. The BRAHMPURI SPRING LOADED CULTIVATOR (TILLER) is designed for the light and medium soils. 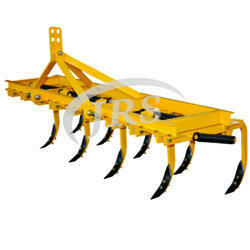 Used for loosening and aerating soil to a depth of 250 mm. Prepares seed beds quickly and economically. 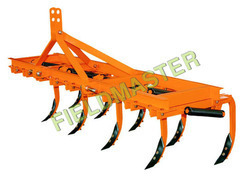 With rich industry experience & knowledge, we have been able to provide the best array of Standard Spring Loaded Tiller Cultivator. Karanpuri "Inter Extra Heavy Duty" Type spring loaded tiller is designed for toughest operation. Spring loaded tynes assemblies fitted in heavy duty angle which once fixed to the immensely strong main channel frame which can not move or stram out of position. All obstructions are removed with spring & prepare seed beds, economically speedily. Heavy Duty Type Spring Loaded Tiller is designed for toughest operations. It is suitable for varying soil conditions. Spring Loaded tyne assemblies derive their strength from heavy duty angles, which once fixed to the immensely strong main frame cannot move or strain out of position. We have a exclusive range of Medium Duty Spring Loaded Tillers to our clients. Medium Duty Spring Loaded Tiller is designed for overseas markets like USA/Australia/Canada and is easy to operate/maintain. As the springs are positioned parallel to the main frame, the trash collection in the springs is negligible. It is suitable for light & medium soils. We provide an assortment of spring loaded tillers that are ideal for application of tilling stones and roots. We have marked a distinct position in the market by offering a precisely engineered range of Spring Loaded Tiller Machine. Heavy Duty Spring Loaded Tillers is our most promising brand as the quality used is supreme and the parts used in manufacturing the machine will work flawlessly. The range of our product is high in demand as our client has trust on the quality product we manufacture.